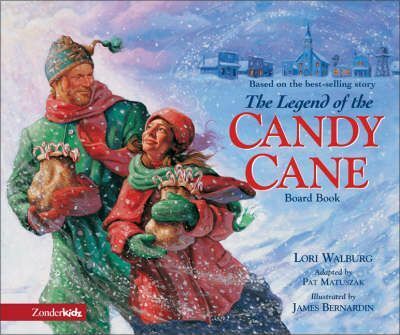 Introduce little ones to a best-selling story in The Legend of the Candy Cane Board Book. Adapted from the original book just for children ages 4 and under, the youngest child can now discover an inspiring story of hope that reveals the Christian symbolism of a favorite Christmas candyÂthe candy cane. Introduce little ones to a best-selling story in The Legend of the Candy Cane Board Book. Adapted from the original book just for children ages 4 and under, the youngest child can now discover an inspiring story of hope that reveals the Christian symbolism of a favorite Christmas candy---the candy cane.